Baker Company photo tribute to 9-11-Truth! - Truth or Fiction? Baker Company photo tribute to 9-11-Truth! Baker Company Tribute to 9/11 from Iraq-Truth! 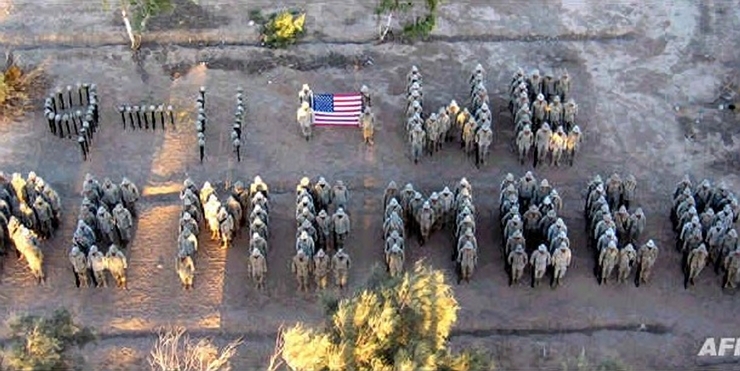 This one is a picture that shows Marines in a formation that spells the message “9-11, WE REMEMBER” when taken from the air. According to an article in The Herald of Rock Hill, South Carolina, this picture was taken September 11, 2003, the second anniversary of the Attack on America. It is a group of Baker Company Marines who were still in Iraq on that date. Amateur Divers Find Long-Lost Nuclear Warhead-Fiction!